NATO Secretary-General Jens Stoltenberg told CBS News he does not see any immediate threat against any of the 28 nations that make up the largest peacetime alliance in the world, despite Russian aggression in Eastern Ukraine and unannounced military exercises near member states' airspace. "We urge Russia not to...do these kinds of snap exercises. Every nation has the right to exercise its forces, also Russia, but they should do it in a more transparent and predictable way to avoid any misunderstandings," Secretary-General Stoltenberg to CBS News Chief White House correspondent Major Garrett. On Monday, the Russian Defense Ministry ordered a "surprise combat readiness inspection" of its air forces. More than 12,000 servicemen and 250 aircraft are taking part in the exercises over Southern Russia. In recent months, the Kremlin has conducted several unannounced air defense exercises near NATO-member airspace in the Baltics. NATO began a two-week military drill of its own Monday over the Arctic. The exercise, which has been planned for months, includes roughly 100 aircraft and 4000 military personnel from nine member nations including the US. Earlier Tuesday, Mr. Stoltenberg held bilateral talks with President Obama in the Oval Office. White House press secretary Josh Earnest said the US is "closely monitoring" Russia's military drills. The U.S. has denounced the Kremlin's support of separatists in Eastern Ukraine and Russia's annexation of Crimea in March 2014. Ukraine is not a NATO member, but the Secretary General said the alliance provides "political and practical support" to Ukraine's government. 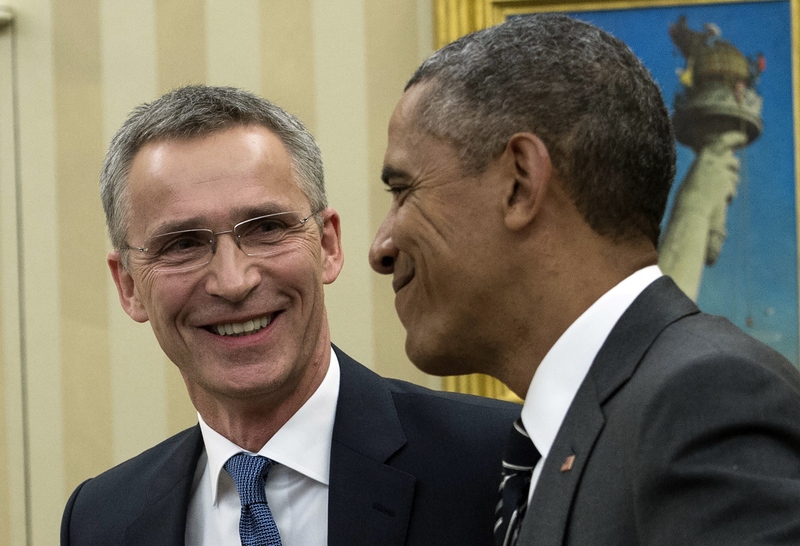 "My strong view is that every nation has the right to decide its own path," Mr. Stoltenberg said. "It's up to this nation and 28 allies to decide if NATO's going to enlarge and have a new member. Ukraine has announced that they will implement a reform program and then aim at applying for membership. We will assess an application from Ukraine exactly the same way as we would assess any other application from any other country."